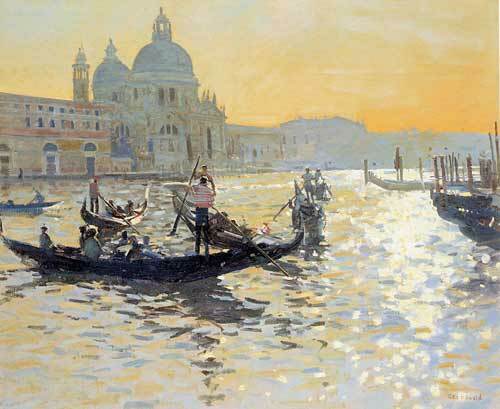 The Authorised Website of Professor Ken Howard, OBE, RA. Here are some websites where more of my pictures can be found. Bridgeman Art Library has a selection of unlimited edition prints of my works and also makes available high-quality digital versions, subject to copyright. Collectors Prints has signed limited edition prints of two of my paintings. APV Films produce video and DVD versions of 'Inspired By Light ' (Cornwall), 'A Vision of Venice in Watercolour', 'A Vision of Venice in Oils' and 'Variations on a Theme' (London). Neale Worley and Dave Austin have produced a Documentary DVD about the life and work of Ken Howard.